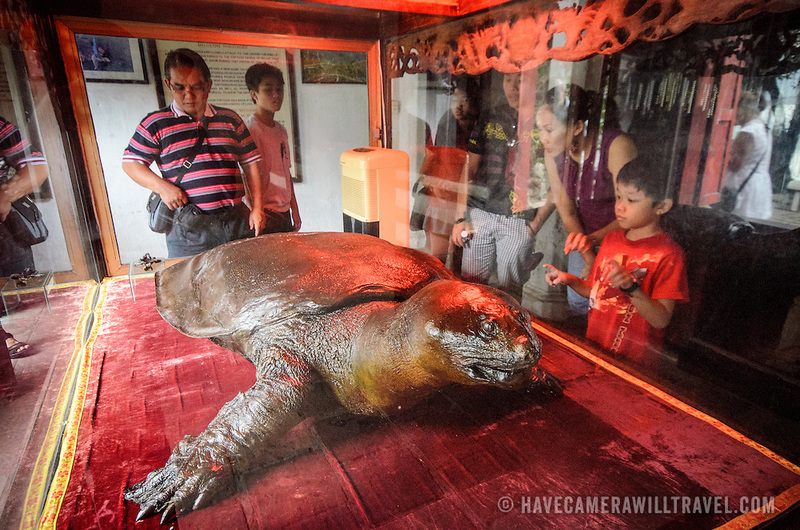 A little boy looks at a cast of the famous turtles of Hoan Kiem Lake. This display is at the Temple of the Jade Mountain (Ngoc Son Temple) on Hoan Kiem Lake in the heart of Hanoi's Old Quarter. The temple was established on the small Jade Island near the northern shore of the lake in the 18th century and is in honor of the 13-century military leader Tran Hung Dao.